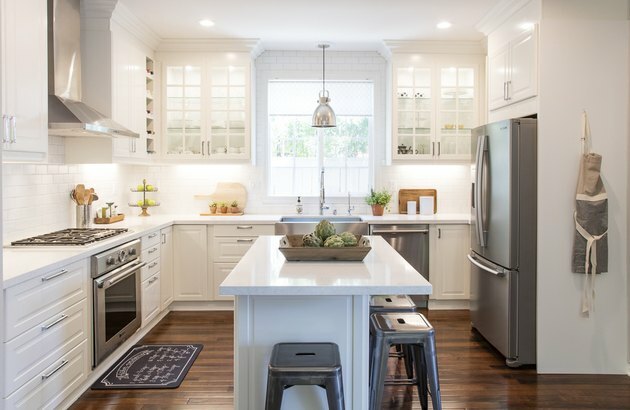 Ikea kitchens are an affordable and simple option, but before you know it, your kitchen can end up looking like a clone of millions of others around the world. These homeowners added a personal touch to their Ikea kitchens, and the result is truly special. 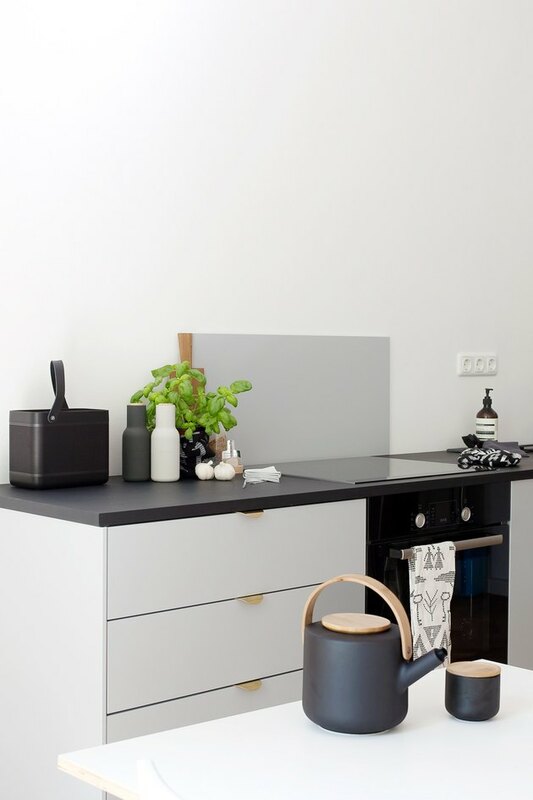 Below, 12 modern kitchen designs you won't believe are from Ikea. 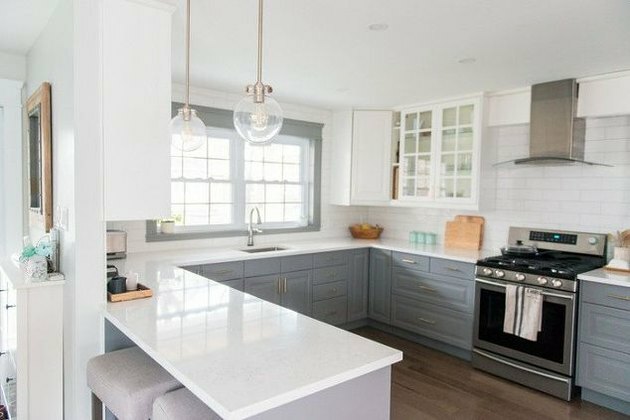 This modern farmhouse kitchen features Ikea's Bodbyn line. 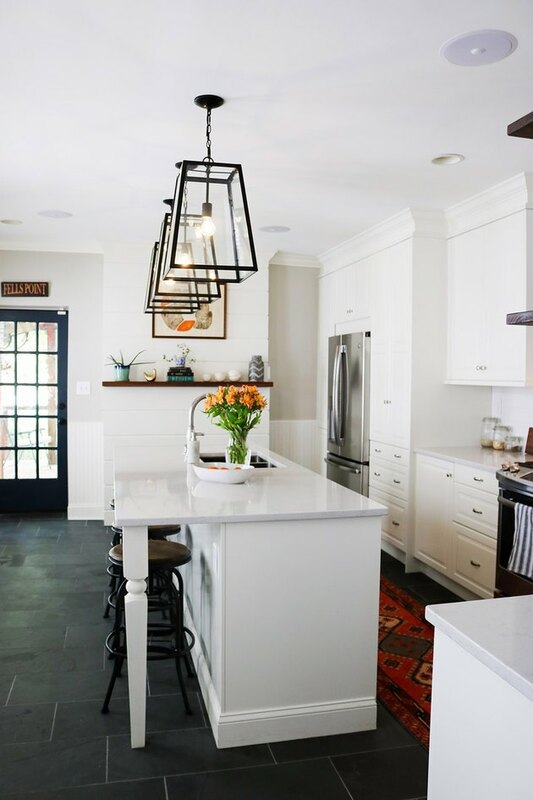 To spruce it up, Beth of 1111 Light Lane added crown molding to the top of her cabinets, upgraded the hardware, and added under-cabinet lighting. Here's how to install cabinet crown molding yourself. Sarah Sherman Samuel has a trick worth trying: Custom-made doors to fit on Ikea cabinets from Semihandmade. No one would ever know that half of your cabinet is actually super affordable! Sarah also spray painted the bottoms with Farrow & Ball's Pigeon for a high-design, two-tone look. An easy hack for a custom look? Replacing some of the upper cabinets with open shelves. These velvety black Ikea cabinets are from the Laxarby collection, and the upgraded hardware is from Rejuvenation. 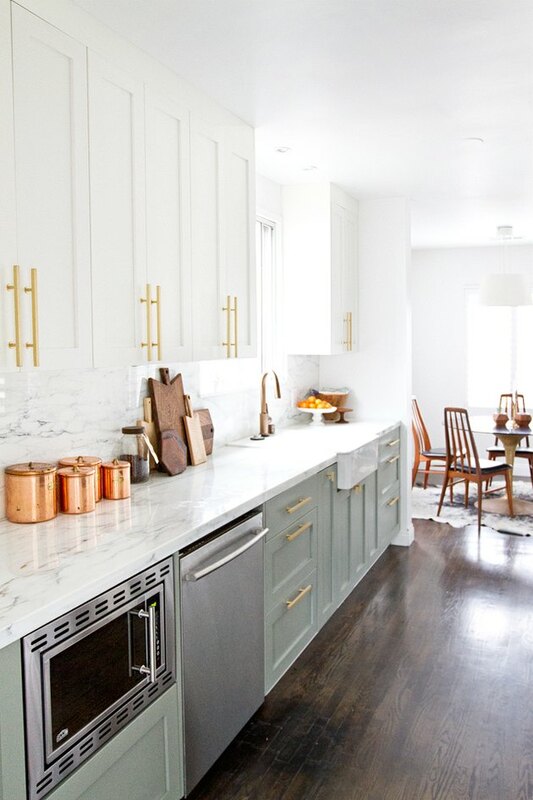 Blogger Sarah added beautiful half-circle, brass handles from Superfront to her basic, gray Ikea cabinets. 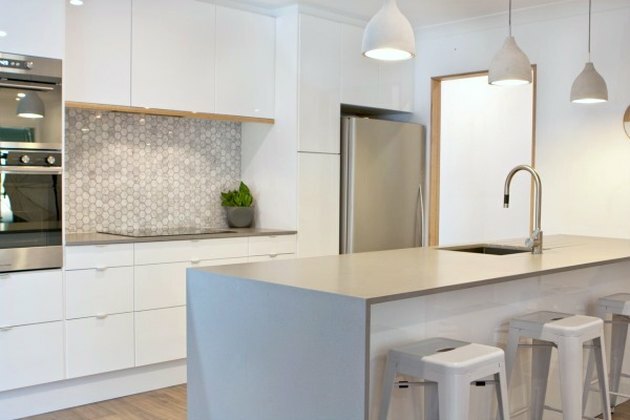 One simple way to make a kitchen look custom? Two-tone cabinetry. Just invest in some nice hardware to go along with the look, and you're all set. 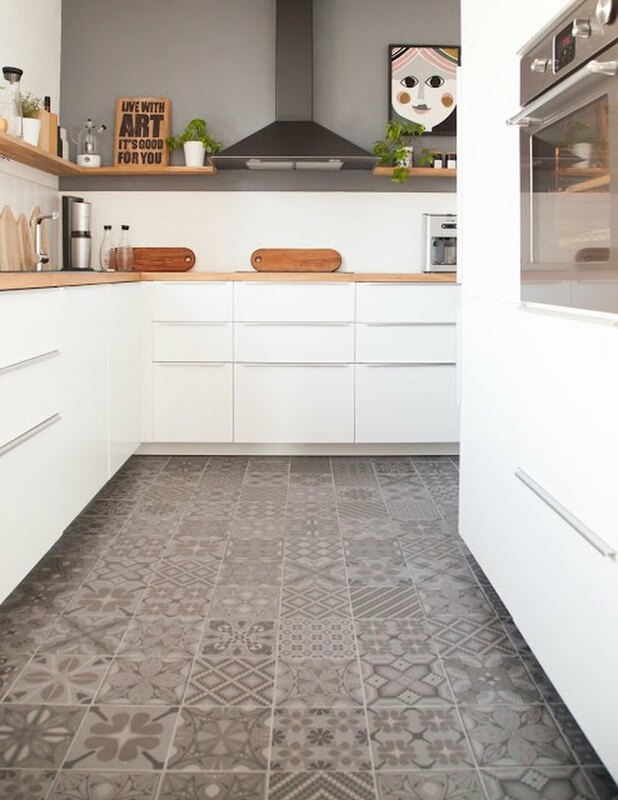 Envious of the statement flooring in this kitchen? It was from Ikea, too, just like the cabinets! Not all Ikea products are uber-recognizible, so throw some of them in and everyone will be fooled. As most have done, blogger Myquillyn switched out the hardware on her Ikea cabinets. The sink she picked is from Ikea as well. 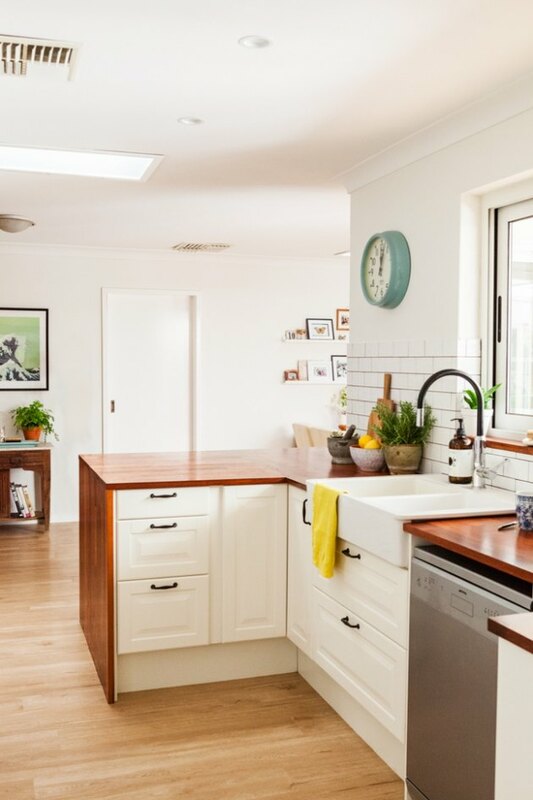 These off-white Bodbyn Ikea cabinets go perfectly with the timber benchtop. Plus, the sink is from Ikea as well. 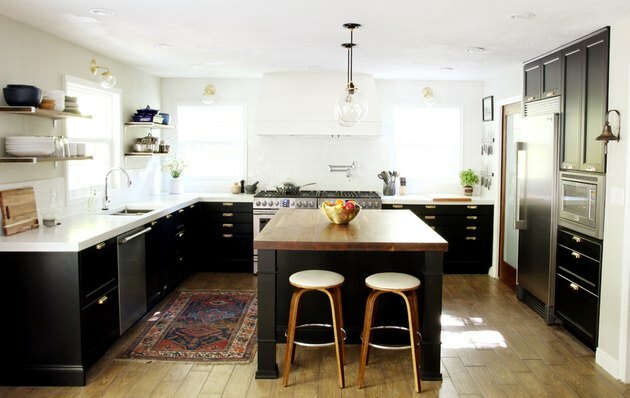 Try going for a less common type of countertop to keep your kitchen from looking basic. 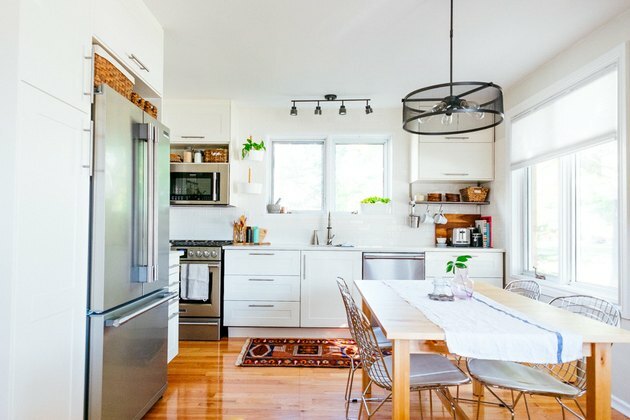 This awesome kitchen uses Ikea Grimslov cabinets. 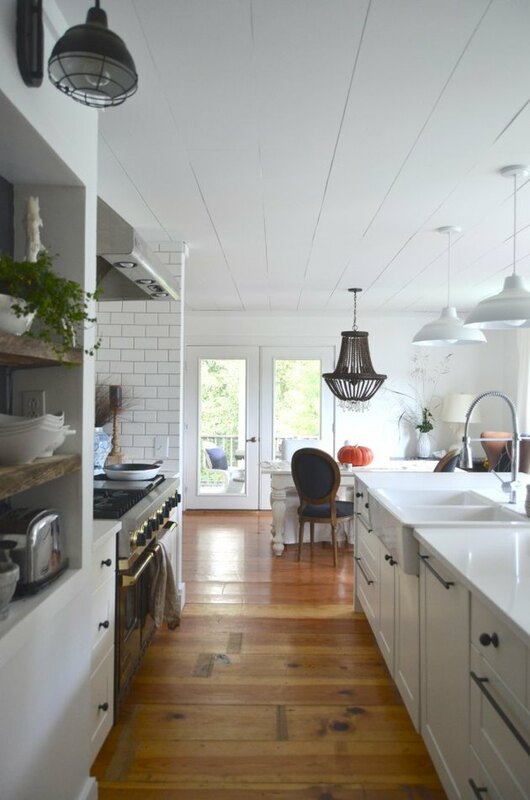 The eclectic accessories and natural wood keep it from looking anything but cookie cutter. 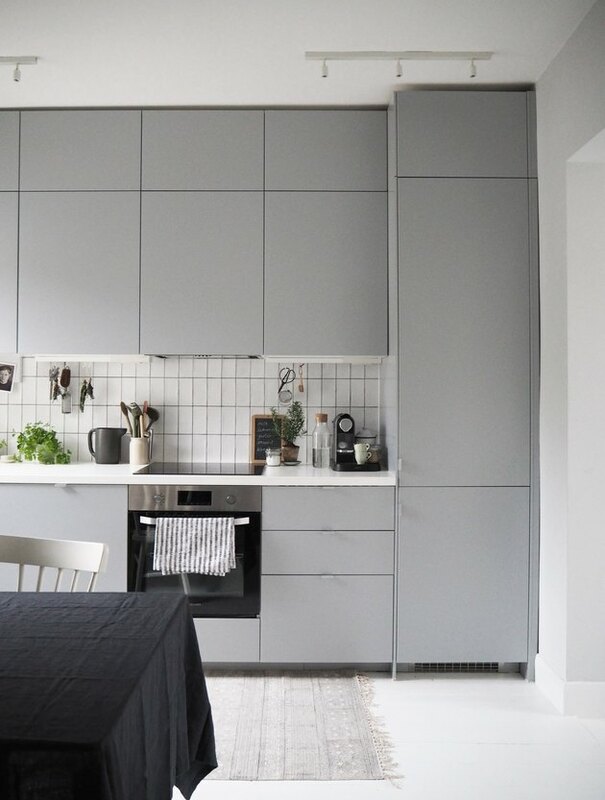 The Ikea Veddinge cabinets in this kitchen perfectly contribute to its light and minimal feel. Blogger Cate added some visual interest to the cabinets with the Blankett aluminum handles, also from Ikea. Here, another Bodbyn kitchen, this time with crown molding added to the cabinets. Quite a bit of items in this dual warm and cool-tone kitchen are from Ikea. It features Faktum cabinets, now discontinued Abstrakt doors, drawers, and fronts, and Blankett handles. What makes it extra special is its waterfall countertop and Carrara marble backsplash. Sometimes mixing high and low end pieces creates just the perfect look.